Well, I found my way back to the workshop this past week! My space craved a serious cleaning, so I spent some much needed time clearing counters, organizing and sweeping glass glitter, mica dust, snippets of trims and papier mache remnants from the floor. 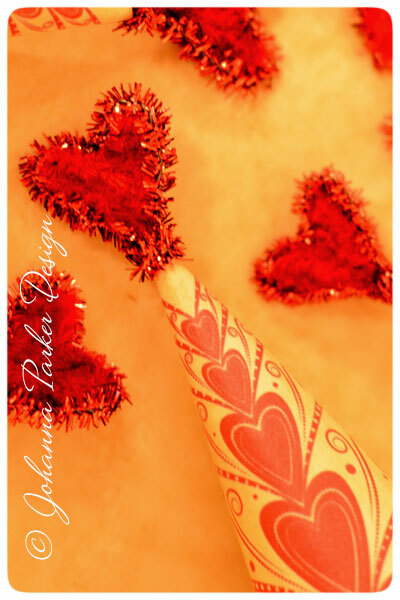 After I completed the task, I began flirting with the idea to make a collection of characters for Valentine's Day! 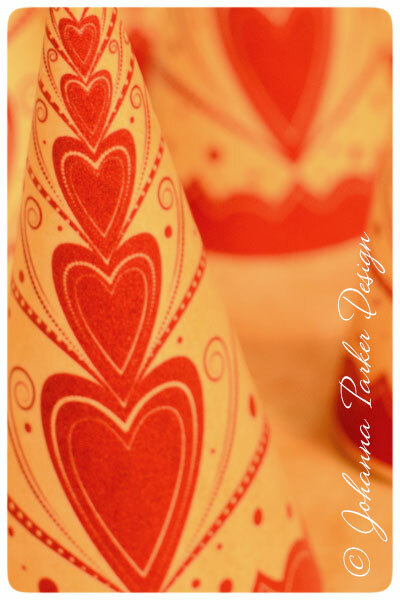 With the month of February fast approaching, my offerings in this theme will be small but sweet. I started by designing a new heart-themed paper hat, and yes, I made one for Jack, my cat, to wear as well! 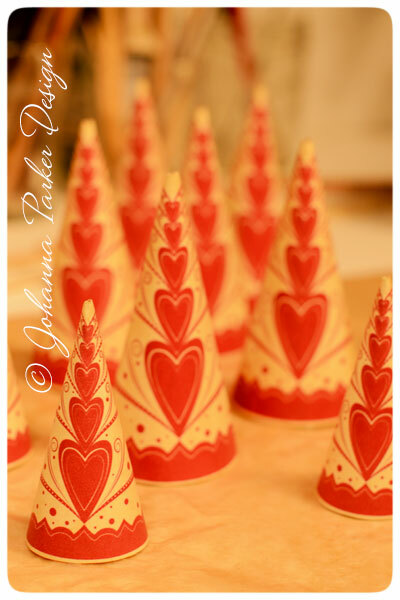 Yesterday, I completed that set of conical delights, and I know they will be the icing on the characters. And speaking of, I made a handful of heart-warming snowman heads who will don these whimsical fashions. 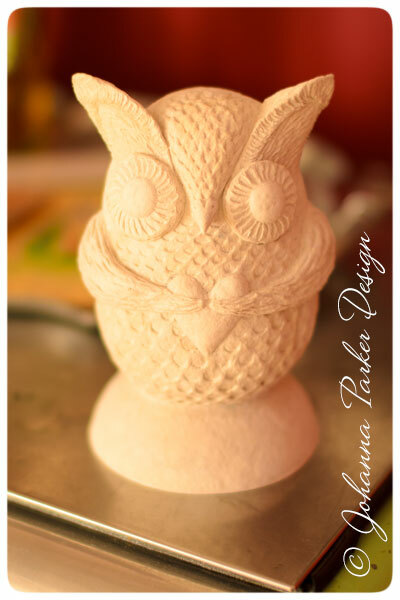 In the mix, I also sculpted a very special standing owl fellow, which I believe I will name "Romantic Romeowl"....(a spin on Romeo)! I hope to have this collection complete by February 1st. Those of you on my mailing list will receive a newsletter announcing these affectionate fellows along with the time when they will be available. So, consider this a little FYI teaser as the sale will happen fairly fast as I hope to ship these guys out so that they arrive close to V-Day! Here's a sneak peek for now ~ Enjoy! * Based off of a rough sketch that I scanned, these hats were created in Adobe Illustrator. It was a fun project, and a great way for me to learn the latest version of this fun software. Here, the hats have been printed with fade resistant & waterproof inks, trimmed and shaped. 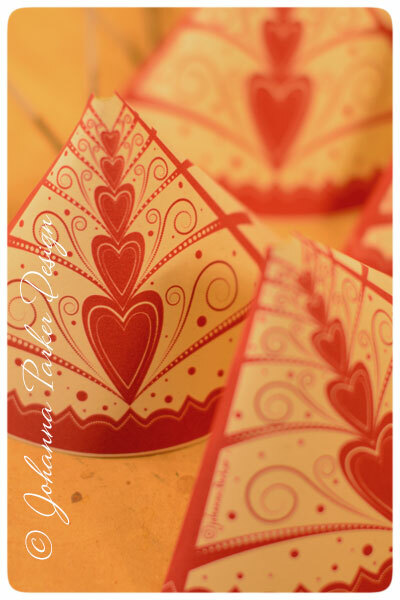 * After much manipulation of the heavy card stock paper, I crafted these cones into conical forms and glued them in place. It's a tedious process, as the hot glue cools quickly, and I must line up the graphics on the seam! I am always happy and relieved to complete this step! 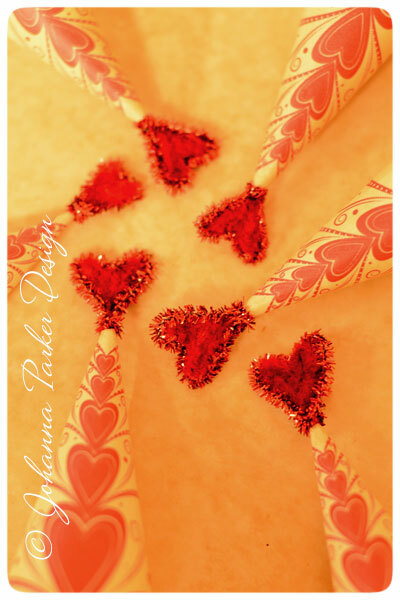 * A blend of two types of chenille stems in hues of red, mixed with pliers and a loving touch, produced a collection of sweet hearts! 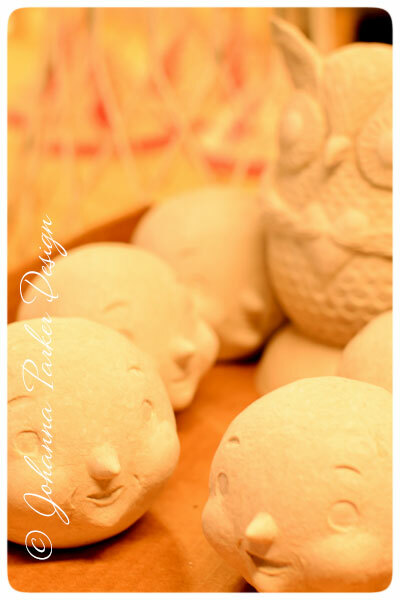 * And here is a peek at the faces that await their coats of paint, dustings of mica and red glitter trims. * And here is a closer glimpse of my "owl in the rough" Romantic Romeowl holding his heart, awaiting his delicate hat and painted hues. If you are not already a member, please Join my Mailing List to be notified when these one of a kind characters will be available.